And while I would love to provide a recipe and instructions for making it, the recipe is a closely guarded secret for a very good reason. The soap made in Africa, primarily Ghana, provides income for that region, often the only income they have. So in light of protecting their recipes I’ve come up with a close alternative. Did you know you can make your own lye? And it can even be full of nutrients that will benefit your skin. Traditionally, lye (or more accurately potassium hydroxide, which is used in making liquid soap) was made with wood ash and rain water. We’re going to change that up a bit and use banana skins and/or leaves. Banana skins and leaves are naturally rich in potassium which makes them a great choice for making lye. Banana skins are easy to procure while the leaves may be a bit harder to find. You can sometimes find them frozen in specialty or ethnic markets or you can grow your own. Even ornamental bananas like Cavendish can provide great ashes. Here in Western North Carolina many people grow Musa Basjoo, a hardy banana that dies back in the winter and comes up every spring. Note: You can also substitute cocoa pods for the banana peels and leaves. They are harder to find but in some areas can be found as mulch. Cocoa mulch is popular for plants due to the nutrients in the cocoa pods. It’s been harder to find them lately because of pet owner concerns (dogs tend to love digging in it and the pods still contain theobromine, which is toxic to dogs), but they can still be found in some areas and online. Some cocoa shells have been stripped of the cocoa butter (which reduces the theobromine) and will be of little benefit to the skin. Be sure to read the label if purchasing this. To make your own lye, you’ll first need to dry the skins and peels. This is easily done using a grill. Get a low fire going and place the skins and peels on an old cookie sheet. Leave this in the grill with the cover on for an hour or so. This should roast them to the point at which they are dry and crumbly. Continue roasting until they are dark ash. Place the ash into a 5 gallon plastic bucket. (You’ll want the bucket about ¾ of the way full with ash.) You can also use stainless steel or glass. Just don’t use aluminum or copper, as lye will react with these materials. Add enough rain water (or distilled or filtered water) to fill the bucket to within a few inches from the top. Cover your container securely so there is no danger of pets or children getting into it. After a few days you can check to see if it’s ready. Note: Be sure to use gloves and eye protection, as the lye may be caustic at this point. To check for doneness, drop and egg into the water. It it sinks, it needs a bit more time. If it floats just below the surface, it’s ready. If it floats on top, add some more water as this indicates it’s too strong. When the lye is ready, use a mesh strainer to get out the biggest pieces of ash, leaving behind a lot of the smaller particles. I don’t strain mine, I just break up the ashes small to begin with and use all of it. You can stir it and scoop out what you need. Again, be sure to use gloves and eye protection for this step, and keep vinegar on hand to neutralize any lye spills. This is a bit different from making soap with commercial lye – there are no measurements. It still turns out well, although it will be soft. Lye made from wood ash, or in this case banana ash, is actually potassium hydroxide and will yield a softer soap. It will also dissolve faster in water due to its soft nature. This recipe is similar to one used in Colonial times, but I’ve changed the animal fat, as was commonly used, to vegetable oils. Make up a quart of oil at a time using 1 cup of shea butter, 1 cup of olive oil, 1 cup of coconut oil, ½ cup of safflower or sunflower oil, and the remainder vegetable oil. Melt the shea butter in some warmed oil so that it easily distributes into the rest of the oils. 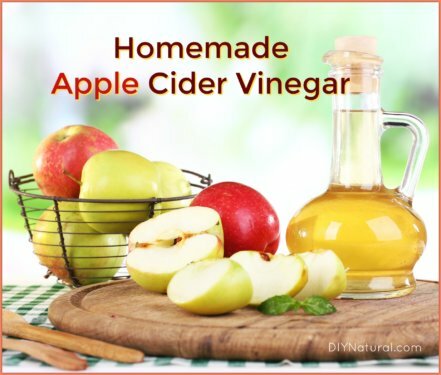 You may need a few quarts of this oil mixture, so be sure to make plenty. Wearing gloves and eye protection, fill a stainless steel stock pot about ½ full with your lye mixture. Heat on medium low. Start adding a cup of the mixed oils at a time, stirring well. Let it simmer for 10 minutes or so. The soap mix will probably be dark tan with black flecks. Keep adding a cup of oil at a time, stirring well, until it starts to look thick and creamy. You’ll notice some solid soap starting to form on the inside edge of the pot. When you see this, it’s time to pour it into molds. If your mixture is very thick you may need to press it into molds. A glass cake pan that has been greased will work fine. (I don’t recommend trying fancy molds for this because it may stick and become a mess to remove.) Once your soap is in the mold, cover it with wax paper and let it sit for a day or so. When the soap is semi-hard, cut it into bars and let them cure for a few weeks. This soap should cure fairly fast since it’s partially cooked. The end product will be soft, but will be packed full of nutrients that will be good for your face, body, and hair. You can make a shampoo out of the bars by grating some of the soap and adding warm water to it. Your hair will be soft and shiny without the need for conditioner. This soap will be gentle, deeply cleansing, nourishing, and great for problem skin. Not interested in making your own? If this project seems a little too overwhelming for your DIY skills, you can purchase a good quality African Black Soap here. 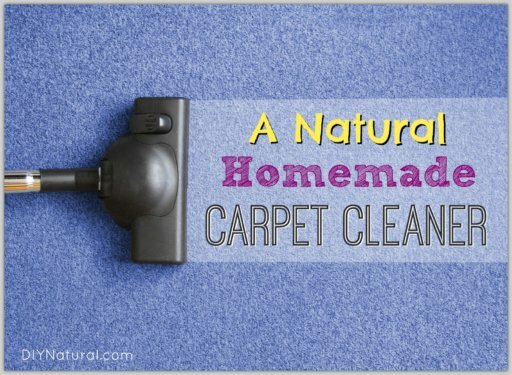 thanks i would certainly try out the natural homemade soap. i would like to know if i can equally use a hand mixer instead of the immersion blender. Hi Debra! I honestly can’t thank you enough for sharing this technique and recipe. I make cold process soaps and I love African Black Soap. I’ve always wanted to have a go at attempting it on my own but nevert had a recipe or instructions tutorial to refer to. This information is invaluable to me. Thank you so very much for this!! I love you all at DIY Natural. Keep up the great work!? 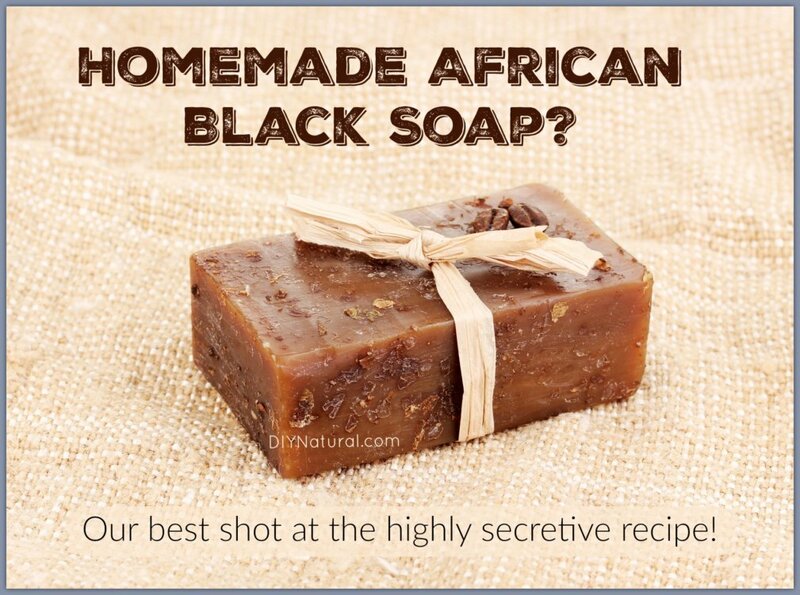 I’m pretty certain authentic black African soap would not contain any of the oils – sunflower, safflower, olive or vegetable oils so what is their purpose? I would LOVE to try making the lye and the soap. But I have 2 questions I need answering first. How many banana peels are we talking about here? 1 or 10 or 100? I would obviously be making the lye as you mentioned in a 5 gallon plastic bucket. My other question is, how long does the lye keep and how do i store it, if I don’t use it all up for this recipe? Thanks in advance for your article and your help answering my questions. I have NEVER made soap before and I want to start with this one! Very excited. I have the same question already posted. Also, can EO be added for scent? 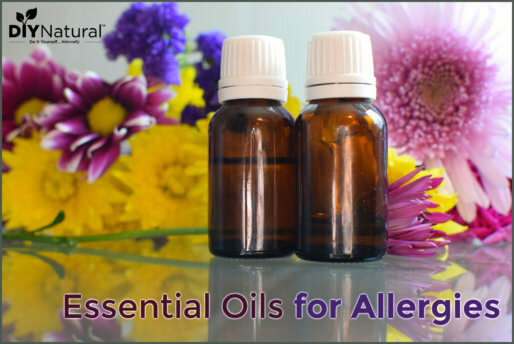 Yes, you can add essential oils Hana. I don’t since I’m trying to get close to the original soap, but there’s no reason you couldn’t add EO’s to the recipe. The amount of ash you use would depend on the size of your bucket and how much liquid you want to end up with. I use a 5 gallon bucket, but an ice cream bucket would work just as well for a smaller batch. How much ash should I have approximately in the 5 gallon of water? I use about 3/4 of a 5 gallon bucket of ash, Cabiria, then fill it with rainwater. This allows room for the lye to develop and still has a lot of ash to get a good strong solution. And Colleen, the ash is what makes it black. It’s kind of a misnomer, since it’s really more brown than black, but for identification, we’ll use the name they’ve given it for years. You can use different oils, but you’ll want to stick within a similar SAP range. You can find SAP charts on almost any soap making website. SAP is the amount of potassium hydroxide converted to the amount of sodium hydroxide that it takes to make a certain oil into soap. So it makes sense to stay within the same range as some oils will take more or less lye to make them into soap. Yeah, we eat a lot of banana peels too. I have the leaves from by plants and then the peels, so I’ll be set for a while too!